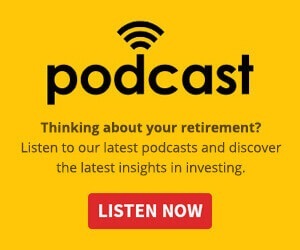 From a financial perspective, longevity risk is one of the biggest risks facing Australians, creating a need for investments that provide income without sacrificing capital growth, according to James Carlisle, head of research at InvestSMART. Australians are living longer than ever before – around 12 years longer than the global average – making longevity risk one of the biggest risks facing retirees. In the last century, life expectancy in Australia has improved dramatically. According to the Australian Bureau of Statistics, men aged 65 in 2013-2015 could expect to live an additional 19.5 years to age 84.5. The life expectancy of women aged 65 was 22.3 years, an expected age at death of 87.3 years. In fact, most Australians can now expect to have double the retirement lifespan of their grandparents. Now when the risk of inflation is added, the risks are compounded further. Previous generations only had to contend with inflation for 10 to 12 years, while today it could be as high as 25 to 30. For many advisers, this presents the conundrum of how to help clients maximise their income while at the same ensuring it lasts as long as they do. While investing in growth assets often produces a better return over the longer term than investing for income, growth assets can also be volatile and depending on when the investor divests, can result in a capital loss. Income-producing assets, on the other hand, are generally more mature, stable companies that can afford to give money back to investors in the form of dividends. These investments are often highly sought out as alternatives to cash when interest rates are low but may see their prices decline when interest rates rise. Therefore, for many advisers, helping clients to get the best out of their hard-earned capital means seeking out investments that have the potential to deliver a combination of both income and capital growth. In response to growing demand, InvestSMART this week launched a new active ETF, the Australian Equity Income Fund (INIF), which is designed to provide investors with regular income without sacrificing capital growth. INIF, which is based on our model portfolio, the Intelligent Investor Equity Income Portfolio, aims to achieve a dividend yield close to that produced by the market but to also increase that income at least in line with economic growth, so it can continue to fund investors’ lifestyles indefinitely. The current estimated annual income is a net 4.1 per cent (excluding franking), compared with the 4.2 per cent (excluding franking) generated by the S&P/ASX 200. This yield, however, is achieved without the index’s large exposure to the banks, which we think adds considerably to risk within the index. At present, INIF has less than 10 per cent invested in the banks, compared with more than 20 per cent for the S&P/ASX 200. The banks are currently facing a number of risks, from the ongoing revelations of misconduct at the royal commission, to technology risk, a highly-valued property market, and the threat of interest rate rises, which could increase default rates. As our portfolio view has more to do with risk minimisation than value, we expect to stick with it even if the banks start to look very cheap. The recent market downturn has provided some more stable opportunities. We recently added Wesfarmers and Scentre Group (the owner of local Westfield shopping centres) at attractive prices and we will continue to seek out opportunities that provide the potential for steady income and growth. What is clear is that, as Australia’s population ages and life spans increase, investing solely for income is no longer enough. The challenge for advisers is to ensure their clients’ capital continues to meet their living expenses, without being eroded by time or inflation. James Carlisle is head of research at InvestSMART and has been researching stocks for more than two decades. He is the manager of the InvestSMART Australian Equity Income Fund (INIF).